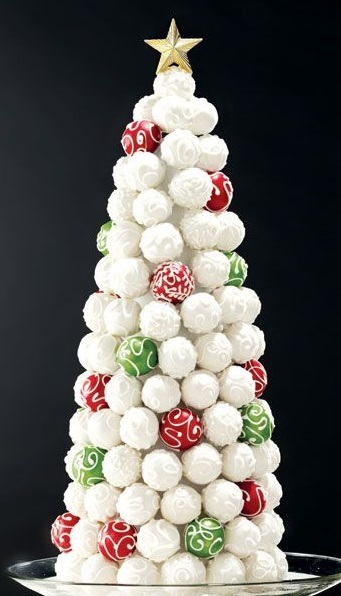 10 Truffle Christmas Trees To Make For This Holiday! 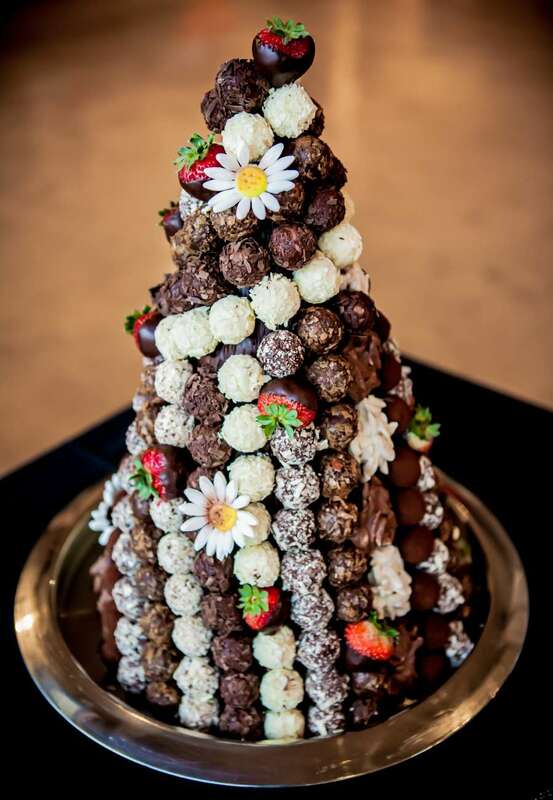 What can beat a truffle Christmas tree to get the place of being a centerpiece on your dinner table? Nothing, right? Well, something sweet is always desirable even when people do not like sweet. 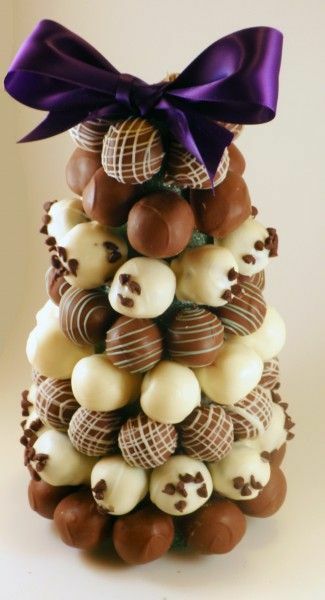 Truffles look so tempting that one will become bound to try one when it is arranged is such an irresistible way in the form of a Christmas tree! If you are planning to have a party at your place and don’t know what to make as the centerpiece, then this is a really easy project that you can work on. It will not take much time and you will get the best compliments; what else will you need? You can buy these truffles from any of your favorite stores or make some at your home if you are up to it. Truffle Christmas tree is an impressive and festive dessert so let’s get started to know how to make one. 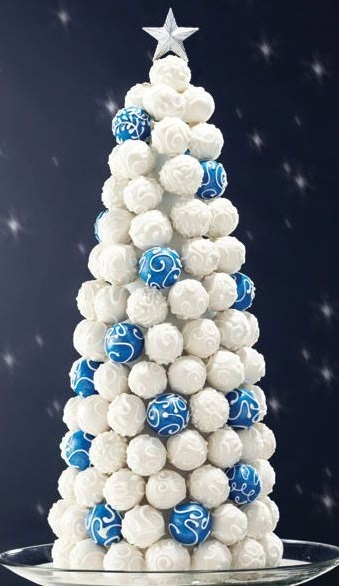 If you are buying the truffles from any of your favorite dessert shop then you will just need the materials to make the tree which will include lollipop sticks or toothpick, Styrofoam block, Styrofoam cone and assorted food colors if you are using any. But if you are making a batch or truffles at home then this is one of the easiest ones to make some delicious chocolate truffles! You will need ¼ cup thickened cream, 400g dark chocolate, 2x55g chocolate coated Turkish delight bars (finely chopped) and 50g chopped white chocolate. You have to combine the cream and half the dark chocolate in a heatproof and microwave safe bowl. Then microwave it as uncovered on medium for 2-3 minutes followed by stirring every minute so that it doesn’t get burnt. Then cool it for 15 minutes and stir in the Turkish delight. Cover the mixture and refrigerate it for 3-4 hours or until firm. Line a tray with baking paper and roll heaped teaspoons of Turkish delight mixture into balls. Place them on prepared tray. Refrigerate these balls for an hour and the place the remaining dark chocolate in a heatproof and microwave-safe bowl. Microwave it for 2-3 minutes by keeping uncovered and stirring every minute. Use a fork to dip the truffles into this melted chocolate and shake off the excess. Place them back on the tray and refrigerate the chocolate coated truffles until they are firm. You can add different flavors of chocolate coating on these truffles. Once you are done with the coating, then you have to refrigerate them and then serve. You can apply some chocolate drizzles on top of them by using a snap-lock bag. This will make them look more delicious. 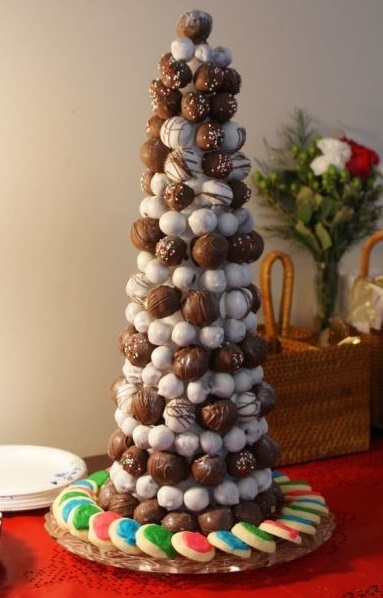 Now that you have prepared the truffles, you have to start making the tree. Start with inserting a toothpick into the Styrofoam cone. 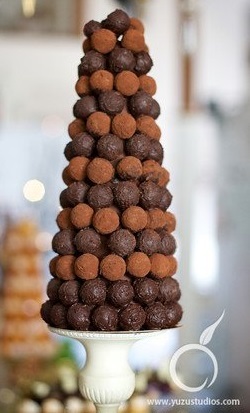 Press each truffle on the end of the toothpick and repeat until the entire cone is filled with the truffles. Make sure that you have enough truffles to fill the cone. You can also add strawberries or other chocolates if you want to make it a mix and match. 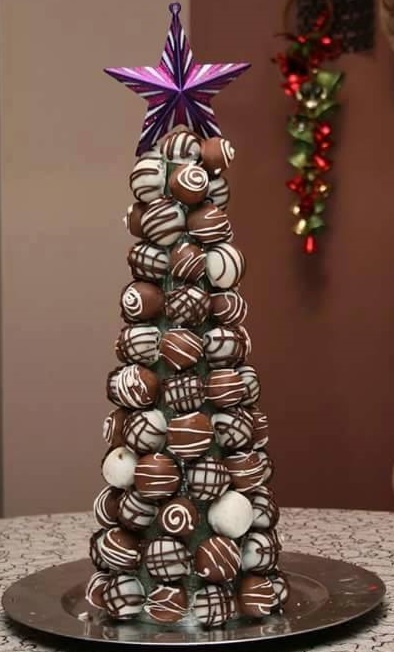 Build up the tree toward upward and at the end which will be the top of the tree, you can place something to decorate such as a star or any other kind of chocolate. The decoration is completely up to you. You can add sprinkles or edibles glitters on top of these truffles. All you have to do is match the tree with everything else on your dinner table. 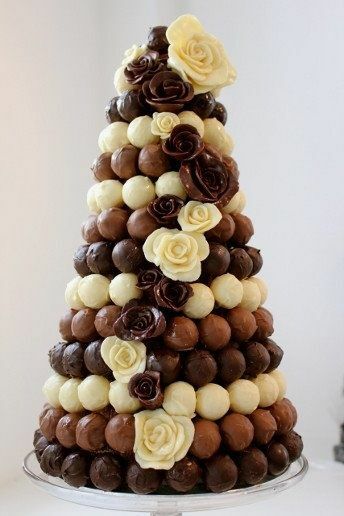 So making this truffle Christmas tree is an easy one to do, isn’t it? When are you going to make on these at your home?